The Affordable Care Act is at the origin of a fast growing trend of Primary Care Doctors who are reorganizing themselves into “patients-centered medical home”. These reorganized practices effectively improve patients care and lower medical costs according to a recent article in ConsumerReports. 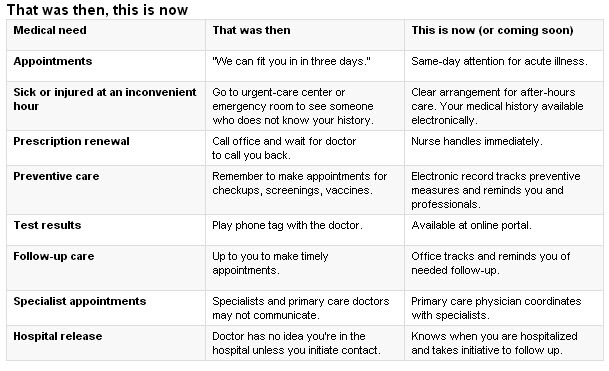 Below is a table that shows what type of improvements patients can expect form these new type of practices.